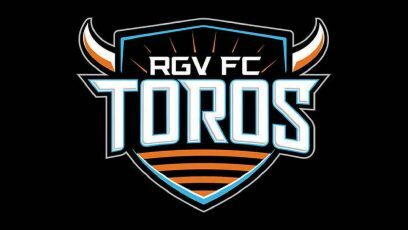 The RGV FC Toros extended their franchise record winless streak to 10 matches over a span of more than two months with a 0-0 draw against Saint Louis FC on Saturday at Toyota Stadium in St. Louis County, Missouri. The Toros move to 1-6-9 on the year, having earned their lone win on April 25. RGV’s nine ties mark the USL’s highest total. Five of the Toros’ past 10 matches have ended scoreless. Saint Louis moves to 5-5-7. RGV’s best chance and lone shot on target was a header by Omar Ontiveros from about 15 yards after a corner kick in the 25th minute. The attempt was easily saved. Saint Louis also put just one shot on target while building a 10-5 advantage in total shots. Possession ended at 50 percent for each side. Midfielder and RGV FC captain Todd Wharton was out of the lineup after starting for the Houston Dynamo in a 2-1 loss to the C.F. Monterrey Rayados of Liga MX on Friday in Houston in the BBVA Compass Dynamo Charities Cup. Wharton ranked second on RGV FC with 1,170 minutes played this season entering Saturday’s match. Defender Conor Donovan, a recent Houston Dynamo signing who has played 12 matches with the Toros this season, started and scored in the Dynamo’s match against Monterrey and was also unavailable Saturday. The Toros return to action at 7:30 p.m. July 7 when they host Tulsa Roughnecks FC at H-E-B Park.